Poor Americans are shouldering an unfair tax burden, a toll that is exacerbating poverty-related problems like obesity, early mortality, low graduation rates, teen pregnancy and crime, according to the authors of the book Taxing the Poor: Doing Damage to the Truly Disadvantaged (University of California Press, February 2011). 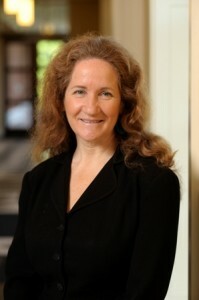 Through Taxing the Poor, co-authors Katherine S. Newman, a sociologist at Johns Hopkins University and dean of the Krieger School of Arts and Sciences, and Rourke L. O’Brien, a graduate student in sociology and social policy at Princeton University seek to promote greater understanding of the relationship between taxes and poverty-related outcomes. While many scholars have studied the connections between poverty and social problems, Newman and O’Brien are the first to look at how sales taxes contribute to these outcomes. Sales taxes are a prime example of how taxes punish the poor, according to Newman and O’Brien. They are often thought of as one of the most equitable ways for a government to raise money, but sales taxes are far from fair in the rural South — and increasingly the West – where the rates are higher than other parts of the country and in many cases apply to food for home consumption. Personal stories from the families interviewed for Taxing the Poor draw in readers while illustrating key points in the book, such as how high taxes on groceries keep more expensive food staples like fruits and vegetables from making it into the shopping cart. People living at or below the poverty line are more likely to choose the cheaper junk food alternatives in order to put meals on the table, and in doing so are burdened by obesity and its consequences, Newman and O’Brien write. and change the way the national poverty line is calculated, accounting for regional variations in cost of living. The authors are excellent resources for reporters writing stories about the impact of taxes on U.S. citizens and the cyclical nature of poverty. To speak with Newman or O’Brien, contact Amy Lunday at acl@jhu.edu or 443-287-9960. High resolution photos of Newman are available upon request.